Even if your household is shared by kids and pets, it’s still possible to enjoy the striking appearance of cacti. 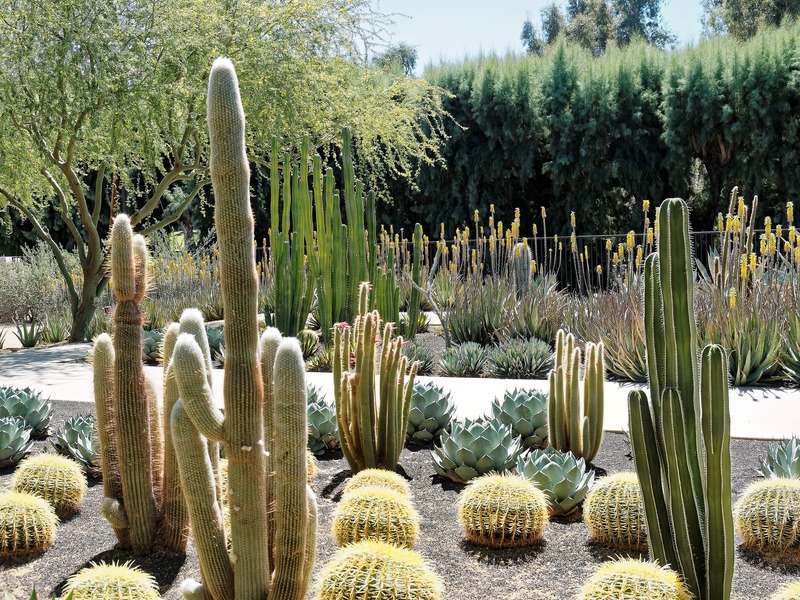 Many bloom bright flowers in the spring and summer, tall versions add height in even the most narrow spots and large cacti can serve as striking focal points in the yard. But that’s not all… some cacti yield edible fruit while others thrive in container gardens. Here’s a quick guide to getting started with cactus plants. All cacti are succulents but not all succulents are cacti. Succulents are plants that can store water and since cacti can do this, they are considered succulents. However, cacti are also classified in their own group because they alone have areoles which are little bumps or holes that hold hair or spines. And, while spines are what prevent many people from planting these gorgeous plants in abundance, they play a huge role in the plant’s survival. Sure, they’re defense from potential predators but spines also trap moisture from the air and catch rainfall. They also absorb and reflect sunshine to moderate the plant’s internal temperature. The cactus family contains well over 1300 species that include a variety of shapes, sizes and colors and many of these will grow well with little water in Southern California gardens. The easiest way to kill a cactus plant is by overwatering so it’s important the area you choose isn’t prone to pooling water or excessive irrigation. Cacti have shallow roots in order to collect what little rainfall may occur in their native habitats. This means that they are prone to being completely waterlogged. It’s important to pay attention to soil conditions before deciding to water. Be careful when putting them on a timed irrigation system with drip emitters or sprinklers as they will likely require much less water than many native plants will. If a cactus plant is in a container garden, make sure the soil is completely dry and when you do water, be careful not to let water pool up in the pot’s saucer otherwise the cactus could become waterlogged. Speaking of pots, cacti prefer pots that can breathe such as unglazed terracotta. Stay away from plastic pots. If you’ve decided on cacti and are wondering which plants may work for you, we have a short list of very different options to give you an idea of what’s out there. Dragon fruit: This cactus that originated from Central and South American but is widely cultivated in Asia for its antioxidant-packed fruit. It’s a very drought-tolerant plant so in light of our current water shortage and rise in popularity of this superfood, it was suggested that dragon fruit could be a swap for farmers of water-loving crops like avocado. It’s important to note that dragon fruit (white fruit) and pitaya (red fruit) are often confused because their skins look the same. However, the difference is noted when the fruit is sliced open. Sonoran nopal cactus (pictured above): Like cactus tacos? These culinary delights are usually made from nopal paddles but the fruit is also extremely antioxidant rich. The pear has spines on it that will need removal prior to eating which is why the plant is also called a prickly pear cactus. You can cook the fruit into jams or use them raw in salads and smoothies. The Sonoran nopal cactus grows like a shrub to about 6′ tall and 10′ wide and is one of the easiest to propagate (directions are below). For those that love cacti but worry about spines, consider spineless versions. Totem pole cacti: It’s considered rare but you can buy totem pole cacti in San Diego specialty nurseries as well as online. This cool cactus plant grows upright and has multiple tall, cylindrical stalks that are smooth to the touch. 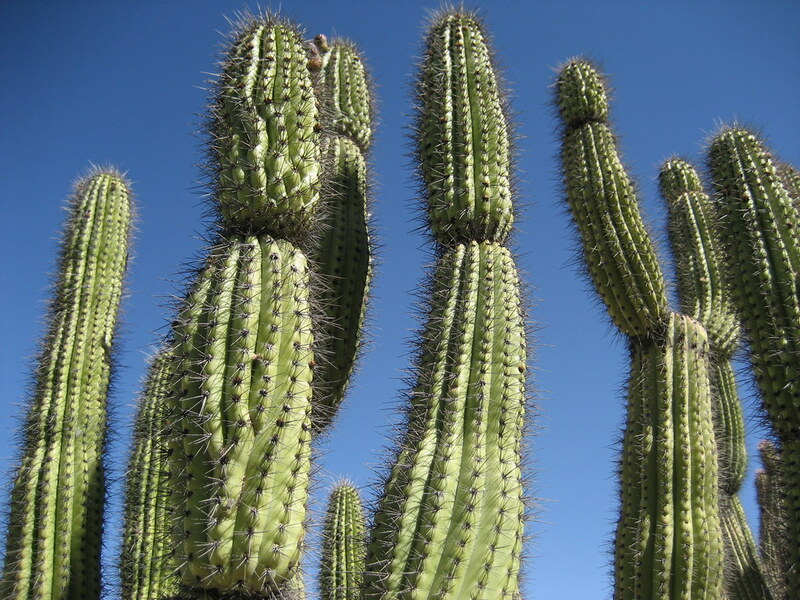 They have low water needs but will need more irrigation than most other cacti and can reach up to 12′ tall. 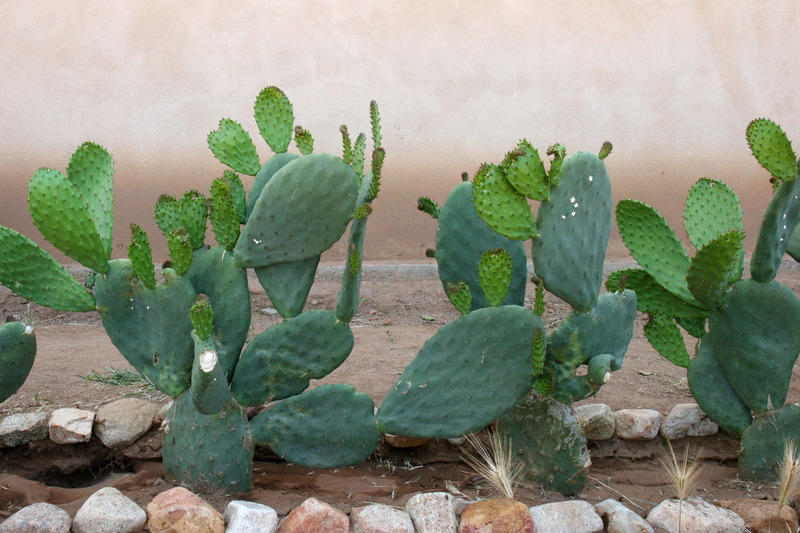 Nopal cacti also come in spineless versions but some gardeners report that the spines are simply smaller and that the fruit is less abundant. Do research and talk to the grower before buying spineless nopales. Organ pipe cactus: If you’d like the stereotypical cactus look, this is your choice. The multiple limbs of an organ pipe cactus mimic the look of organ pipes, hence its name. It’s a slow grower up to 25′ tall by 12′ wide that lives in sandy, poor soil and for up to 150 years. Expect large white flowers to bloom at night after the plant matures providing a pollen source for bats, moths and other nocturnal pollinators. 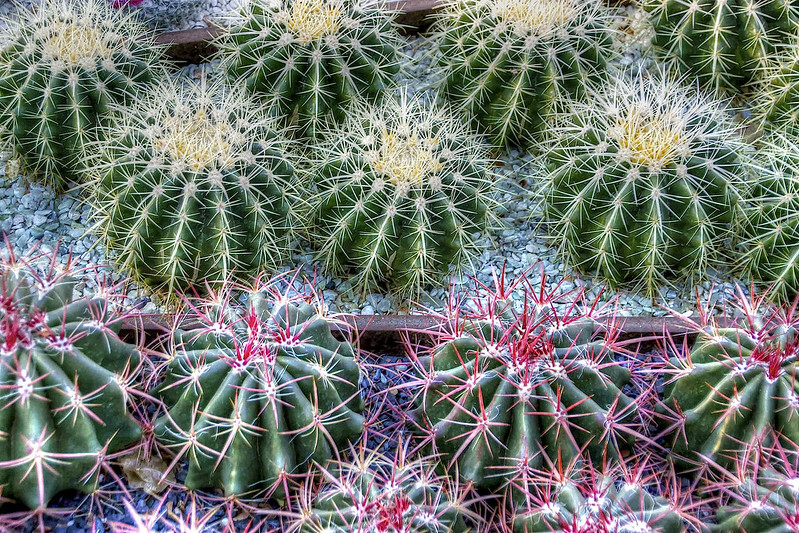 Pincushion cacti: These little gems do not reach more than 6″ or so tall and, yes, they look like pincushions. They are easy to grow so good choices for beginning gardeners and container gardens. Some of the over 250 varieties flower if optimal watering and nutrient conditions are met. They are very prickly so do handle pincushion cacti with care. It’s fairly easy to propagate most cacti in a similar manner to succulents because most require simply snipping off a pad. Let the cut dry out for 24 hours to a week in order for the wound to heal. This prevents the cutting from rotting in the new growing medium. Then, pop it into a pot with cactus mix and it should root within a matter of days. Which cacti do you have in the garden?